A while ago, I posted an article regarding Microsoft's unwillingness to participate in the VR race because they wanted to focus on combining all of their platforms into something universal. Microsoft took another step towards this goal when they announced the release of Xbox Dev Mode and its subsequent completion this summer. Although currently in its preview stage, Microsoft plans to let anyone experiment with Universal Windows Program (UWP) development with this upcoming feature. Microsoft's objective with this project is to reach out to independent game developers and give them an accessible way to create games for the Xbox One platform. Users will now be able to take full advantage of Xbox One and Windows 10 integration with this upcoming update. For about three years now, Microsoft has been planning one single platform to merge the entirety of the technology giant's long line of devices and offer more options for rising game developers. A while back, they announced that the Xbox One would have full game creation functionality, but access to Dev Kits was very limited. There were also several tutorials on how to manually convert an Xbox One into a Dev Kit, but Microsoft has noted that these methods are illegitimate and unprofessional. With this new update, indie developers will get full access to Xbox developing methods and a portion of the functionality of the Xbox One system. For now, this update will let users consume up to 448 MB of the system's RAM, and down the line when this update is fully finished, developers will be able to consume 1 GB. The Xbox One has 8 GB of RAM, so this is considerably limited, and developers won't be able to create titles of highly professional tier. Microsoft has enabled developers to get their hands on some sweet features, but in order to use the Xbox One to its full potential for game creation, users would have to get their hands on actual developer hardware, rather than a simple Dev Kit. Nonetheless, this is still a major step for Microsoft and all of the indie game developers who want to move to the next step. 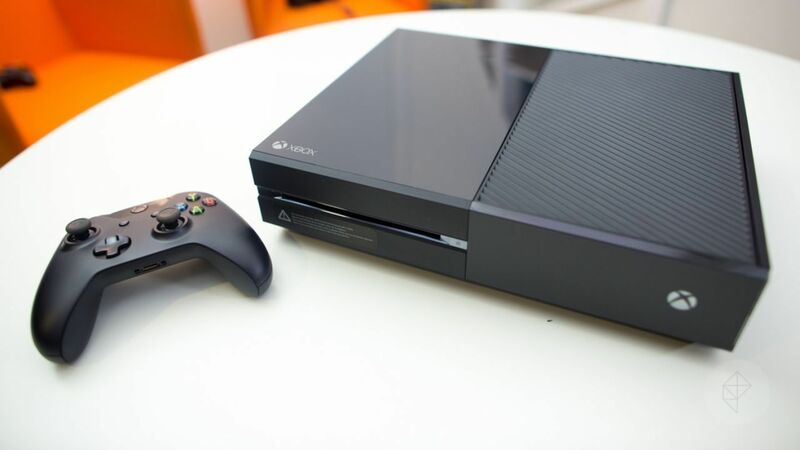 Turning your Xbox One into a Dev Kit is a surprisingly simple process with very few steps involved. The Dev Mode application is available in the Xbox Games Store already. Once downloaded, the user will be introduced to the requirements that this program necessitates. If you're planning on turning your console into a Dev Kit, you will need to join the Windows 10 Insider Program, have a ready-to-go wired connection from your PC/Laptop to your Xbox One, and have the latest version of Visual Studio 2015. Obviously, you will also need to be running Windows 10 on your PC/Laptop. There is also a warning that since this is a preview program, it will be unstable at times and all programs (both retail and developer) are subject to crashing at arbitrary points, since this is a system-wide update. Once the user accepts, they are given an activation code for their Development Center account. The console will update and restart like usual. Upon setting everything up, the Xbox One can be linked to Visual Studio 2015 and it will simply be recognized as a Windows 10 device and content can be exchanged through a wired connection. If the user wishes to leave the development program, their console will have to be factory reset, and everything will be lost unless backed up. It's good to see Microsoft getting back on the good side of developers, especially after their debacle with sales and their strong competition from Sony. Although it's still very evident that Microsoft is favouring Triple A titles over indie ones, this is definitely a giant step for them in the right direction. This type of system customization power is far superior to Sony's tactic of selling Dev Kits for $2,500 each or loaning them to promising developers. While only being able to use an eighth of the Xbox One's RAM surely is a tight limitation, I have no doubt that there will be some seriously brilliant indie titles that are released because of this new update. There are few things more enchanting than seeing something of your own creation on the television screen, and Microsoft is willing to lend this magic to anyone who owns an Xbox One system. You can join the development program now or wait until this summer for the fully stable release. God, DGK SNOOPEY, TestiCat and 4 others like this.